How diverse is the events industry? As part of our Recruitment Report C&IT investigated diversity in the events industry and how agencies are tackling this crucial issue. The events industry has traditionally been predominantly female, but are women managing to break the glass ceiling and take on senior positions? Sam Robson, group events director at The Appointment Group has noted a worrying trend, commenting: "I think the events industry provides great opportunities for women however I am always disappointed at awards ceremonies when the company owners or chief executives receiving the awards are generally men and the events teams are mostly women." She also pointed to issues of race representation, saying: "The hospitality industry in the UK is made up of many nationalities but the events industry is dominated by the white middle classes." Hannah Luffman, founder of agency Unicorn Events agreed, saying that although women were dominating at executive and manager level, "few women are still achieving director status and sitting on boards and it needs to change." She added that to change this "we must understand why this is happening and ask ourselves if we are being inclusive enough for women returning from maternity leave." Despite obvious biases towards men in the most senior positions, Dale Parmenter, CEO at drp argues that in comparison to other industries, the events sector is more diverse, but that "we still have a way to go with improving it. This is because it is quite female orientated, and despite this, not many women are in senior positions." However, the landscape of the industry is beginning to see change according to Victoria Deprez, senior events manager, Event Travel Management, who said: " I feel that the tide is beginning to change. This is perhaps due to the fact that there are now a number of event management degrees – which has in turn seen an increase in male event managers in the industry." Another vital issue is the fairness of recruitment and selection processes, as these determine who is able to break into the industry in the first place. Most agencies agreed that of paramount importance is the fit of the candidate to the role. Deprez said: "Recruiting the applicant that is correct for the role and not taking into account external influences will ensure a truly diverse and thriving working place. However to aid this process it’s best to interview a prospective applicant with another member of staff, to ensure that truly non-biased decisions are made with regards to recruitment." Quotas are often floated as an effective solution to lagging diversity, however Luffman argued: "I don’t agree with diversity "quotas" but I do believe in an open hiring policy and 100% inclusion for all genders, ages, races, religions and sexualities. Diversity can be improved by opening new channels for those coming into the industry. Many skills are transferable into events and ultimately anyone with a creative flair and organised personality can work in our industry. By lowering hiring expectations of degree educated interns and opening our doors to inner city schools and colleges we will help to improve diversity in travel and events." Parmenter emphasised the importance of individuals being " judged and chosen for their capabilities to do the job – not for anything else. This is vital, as some companies look at filling their quota instead of filling the role with the right person. To be honest, quotas (such as gender and race) can be prejudice in themselves and almost contradict the whole point of diversity." Agencies also responded with schemes and programmes they have in place to encourage diversity. Apprenticeships and internships play a big role in encouraging a wider calibre of applicant into an events career. When asked what agencies can do to encourage diversity, Robson responded: Apprenticeship schemes, support for women in business, more integrated events, positive media coverage of staff from all walks of life and better careers advice at schools on opportunities in the industry to encourage a more diverse entry. In regards to how The Appointment Group is tackling these factors, Robson explained: " The Appointment Group runs an apprenticeship scheme for new entrants into the travel and events industry where we try hard to encourage applications from a wide range of applicants." Programmes that specifically target the most underrepresented groups can also be instrumental according to Deprez who said: "We hold regular recruitment evenings which are open to everyone and we also have an in-house trainee training programme." Luffman agrees and explains: "One of our core values is "conscientious" and it is based around helping disadvantaged and underprivileged young women into events. We run a year long intern placement programme from July and we also offer work experience to those from difficult backgrounds to realise their potential and the rewards of working in our incredible industry. "Feeding fresh, diverse talent into events is what will keep our industry moving forwards and all agencies should be providing paid apprenticeships and internships to equip young talent with the hands-on skills needed to succeed," she added. Creating an environment where diversity can flourish is also vital according to Parmenter. One of the ways the industry as whole can do this is to "bring in an equality policy across the industry that gets everyone realising the importance of diversity in the workplace, and put some structure behind it. With this, it is important to consider working conditions, pay conditions and ensure everyone is equal, as these things should always depend the role and not the person. The only thing we ask is that their determination to make anything possible is innate in their characters." What is the future for event management degrees? Do event management degrees make a difference? 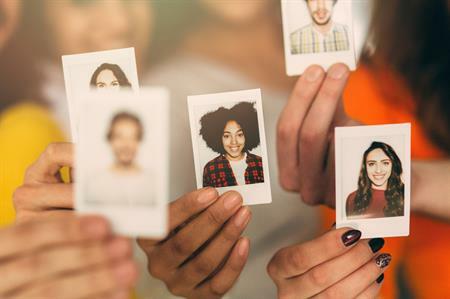 Why is millennial talent important?